Welcome to Cardiff Airport Taxis ground transport price compression website. We provide real time and accurate data about available minicab's, minbuses and coaches in and around Cardiff. Simply tell us where you are going from and to and we will find your the best price for our network of ground transport operators. No personal data is required at this stage; all you provide is your destination or pick up point and the number of passengers in the entourage; we can handle both small and large airport transfers to and from Cardiff Airport. The date when you require the service is also required at this point; because the site can also handle future bookings, the date need not be current date always; you can specify a future booking. 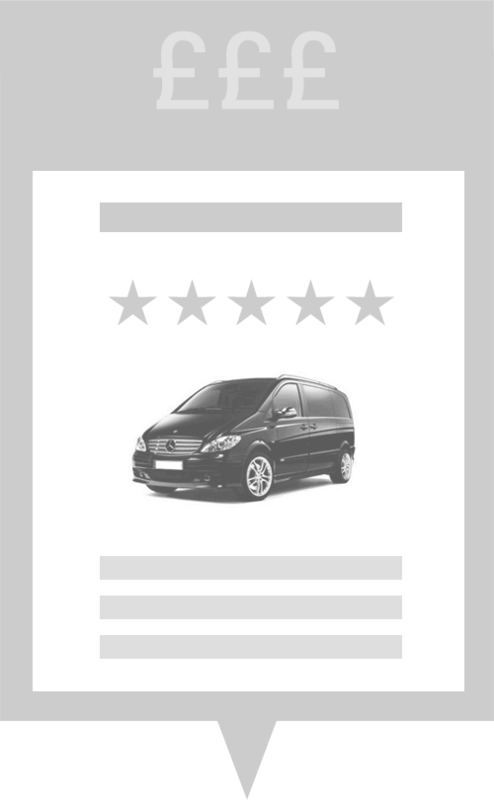 Using the information provided, the site will instantly check the prices for a client's journey with the comprehensive pool of Cardiff airport ground transport companies and display the best prices available at that particular point in time. The site is user friendly and will provide you with an error message in case you have entered some incorrect data or if in the rare event there are no available Taxi compare partners from your pick up point; they never leave you hanging! Being fully aware that good customer service and care is a core part of Cardiff airport taxis website, the website will provide you with detailed performance scores that are specific to these compaines; this score helps you see and compare the successfully completed bookings by each listed taxi company and genuine client testimonials in regards to performance variables like timeliness, neatness, courtesy etc. You will thus make a well informed booking decision. After a client makes a booking; which comes at no added cost, the client will receive an email confirmation that states that the booking has been received. Another confirmation will be sent to the client confirming that the chosen company has accepted the booking; one will then be issued with a booking reference number and full contact details of the Cardiff airport taxi company that was chosen. It has been proven that by using Taxi compare a client will save up to 50% in taxi costs; it thus guarantees cheapest fares online amongst Cardiff airport taxis. It offers the lowest prices to customers for airport transfers from Cardiff airport. The rating system gives a prospective an opportunity to choose a taxi company with a lot of confidence as he/ she is assured of being handled in a proper and respectable manner by the chosen company; he/she is also given the opportunity to offer feedback regarding his/her experience. Finally using the taxi compare website is FREE, fast, and there is no need to sign up. Let us find you the best price! Cardiff Airport Taxis is the UK's number one taxi price comparison site for airport transfers.